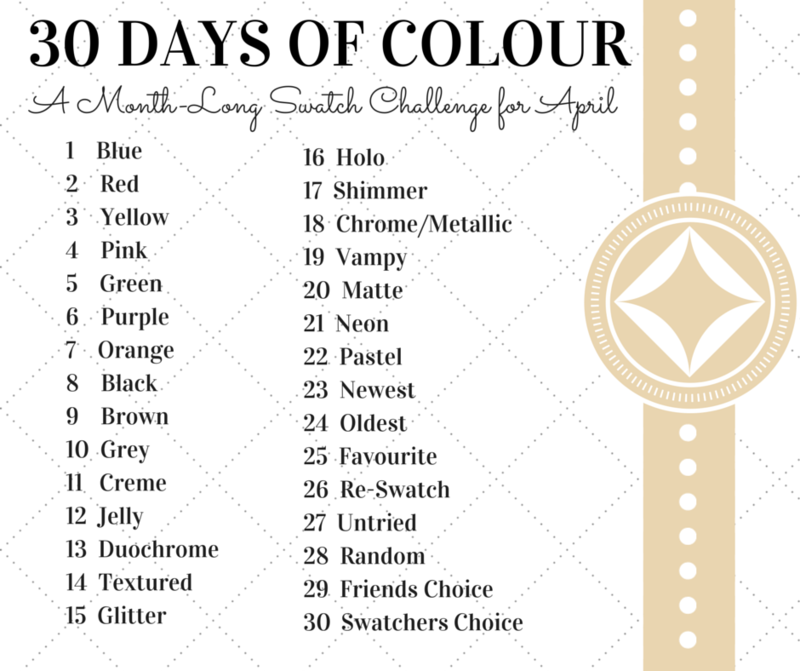 Today I'm starting my very first nail polish challenge called '30 Days of Colour', hosted by my lovely friend Katherine from Procrastinails! 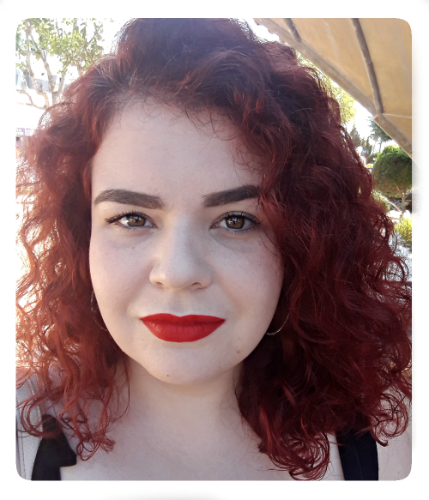 I've never participated in one and since this is a pretty relaxed one and you can do as many fills as you want, I thought it would be a great one to start with (and try to stick to!). It's an old Essence nail polish whose name is nowhere to be seen, sorry about that! 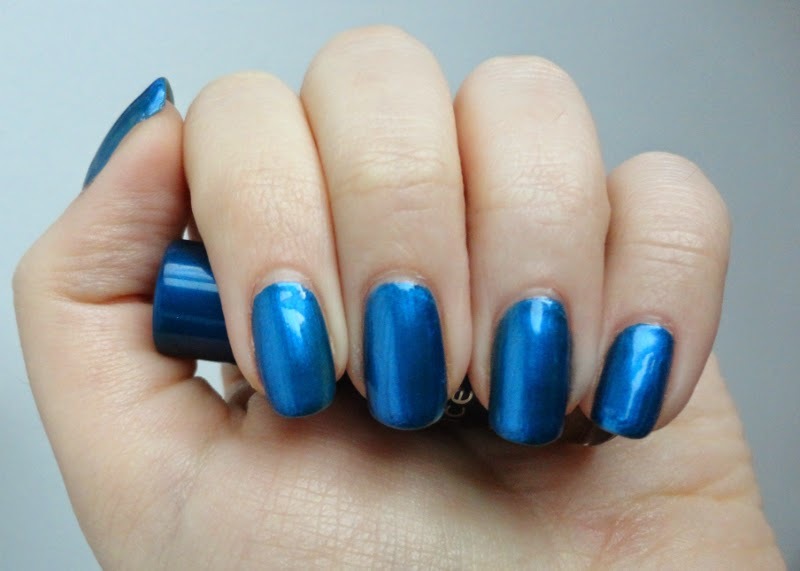 But it's a metallic medium blue that covers nicely in one coat, though I did two just in case, and as you can see it's a bit brush strokey even with a base coat under. Such a pretty blue! I agree with Katherine, it probably stamps amazingly!